Bright, David Ayer’s new cop thriller premiering on Netflix later this year, is a story about a world in which humans, orc, and other World of Warcraft-esque beings live together in state of rather realistic conflict. Racial tensions run high in the movie’s LA setting as the police department welcomes its first orc officer onto the force. 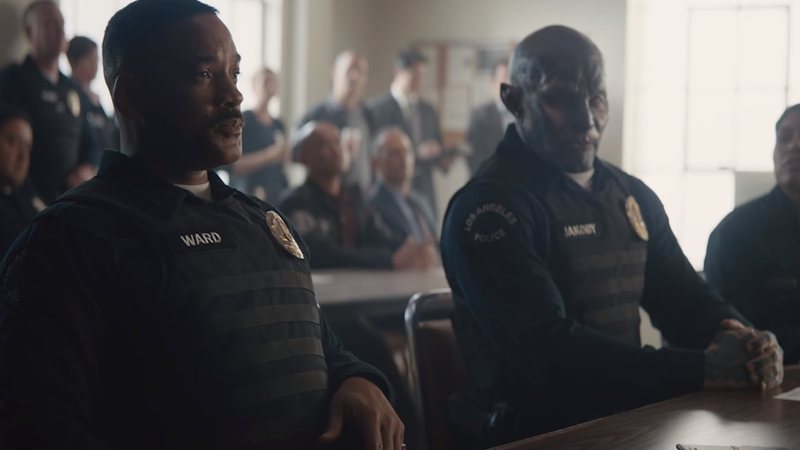 It’s been clear that Bright will use its fantastical premise to explore ideas about real-world racism, but what was less obvious was what central event would bring Will Smith’s human character and his partner, Joel Edgerton’s orc character, together. In a new featurette, Smith, Edgerton, and Ayer sit down to dig a bit more into the movie’s larger plot that involves its heroes stumbling upon a literal magic wand that’s able to reshape reality to its wielder’s will. The predominantly-human LAPD possessing a dangerous magical object that obviously belongs to someone else (probably a fairy or elf) is exactly the sort of thing that could set of an uprising in a city filled with all manner of fairytale folk. Check out the new footage for yourself and get prepared for Bright’s premiere December 22.